Living in Cape Town with Kids | Why Cape Town for Families? Many families ask us what we like best about living in Cape Town with kids. Good question that is quite easy to answer: The lifestyle. However, there are actually many reasons why expats consider moving to South Africa's most popular city. Certainly many questions arise during the decision-making process of moving here. Thus we will try to give you some insights why we and many other expats choose to come here -and stay here for a bit longer. Let's be honest, raising children in Cape Town is not easier than anywhere in the world, there are always tough choices to be made, but the Mother City is for us a really special place - of course with many challenges as well - but we have not regretted moving here for one day. So first let's give you some facts. 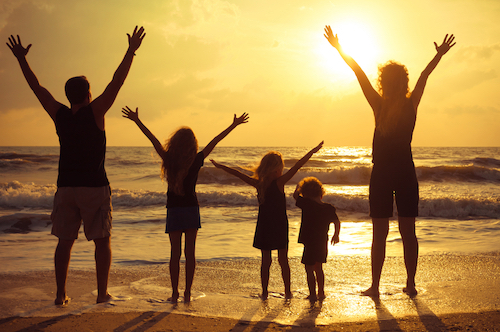 South Africa is among the top twenty destinations for expat families, according the latest HSBC ExpatExplorer survey from 2016, South Africa ranks 17 for quality of family life and ranks 8th and 13th of 45 countries for health and childcare respectively. Should you consider making Cape Town your new home whether you are an South African expat wanting to come back home with kids in tow after spending some years abroad or a foreign ex-pat, read through our reasons and join in the conversation in our Expat Cape Town group on Facebook. Due to the Mediterranean climate and predominantly mild and sunny weather in Cape Town, your children will be able to walk barefoot and feel the warm sand and soil between their toes:-). Even winter is not bad! There is lots of space to roam during all seasons, so no restraints for enjoying nature and the great outdoors. 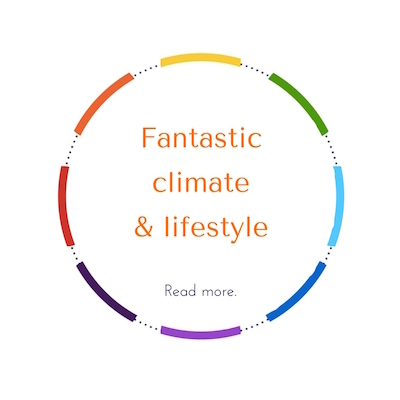 The climate also influences the health and wellbeing of children and this is rated highly by many expats. Read more about the wonderful climate in this part of the world here. The lifestyle with kids in Cape Town is much more outdoors-oriented than in many places around the world. So you can say good-bye to indoors play centers all year round, although there are some great indoors play centers here for those rare rainy days, too. Your children will learn more about nature and wildlife as there are great parks, environmental learning centers and nature reserves and your kids will learn to respect nature. 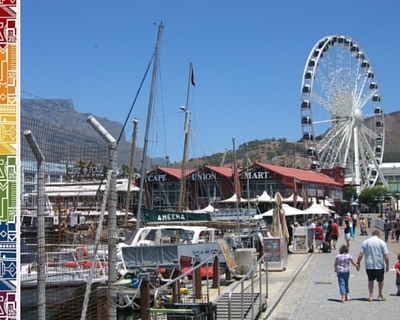 Read more about expat lifestyle in Cape Town and find our expat interviews here. When living in Cape Town with kids, there are plenty of activities for children waiting for your little ones and lots of cool activities for teenagers in Cape Town to keep them entertained and happy. There are many interesting museums, parks, safe and clean beaches, science and sports centers, movie theaters and kids theatre shows for every age and taste. Extra-mural sports activities offered by many schools make organising your child's day much easier than in many countries overseas. Read more about school holiday activities here. In Cape Town, you encounter people of many different cultures. When living in Cape Town with kids, you children will meet people from many different cultural and social backgrounds. This will help your child to learn about community and accept people from other cultures, beliefs and races. Your kids will grow up more tolerant and compassionate when living in Cape Town through constantly being exposed to people from different communities. The multicultural society will help you raise a more tolerant child. Read more about culture shock here. There are many good and affordable private schools in Cape Town South Africa. Life orientation is an important part in the South African school curriculum. Schools activities often include social outreach within the communities and participation at charitable events that are supported by the whole school community. 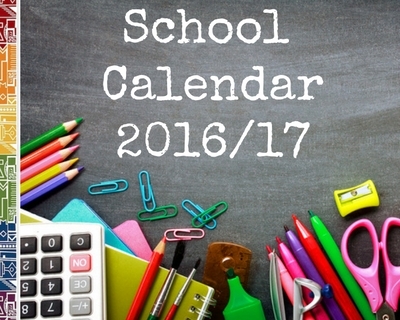 If you want to read where to find some of these great schools, get to our special page on private schools in Cape Town. And remember, the costs for private and international education are much lower than in many other countries. Read more about international schools here. Children are exposed to many different languages in South Africa and most kids grow up bilingual at least, as English and Afrikaans are the languages you will encounter everywhere, but many expat families still practise the child's first language or mother tongue at home. Some expat communities even have their own schools with mother-tongue classes. The main language of instruction in schools is, however, English or Afrikaans. Read more about languages. Further you need to consider transport, security, communication and insurance costs as well as other costs depending on personal needs and wants. Read more about the cost of living and common expenses here. Children in South Africa are confronted with social differences early on. The sight of the dire living conditions in the squatter camps you will pass occasionally making your way through the city and suburbs will hopefully also create awareness of lesser privileged living conditions. Kids will learn soon that not all children are as fortunate as they are. They will see street vendors and street children and will learn about poverty and social injustice from an early age. You can help your child to grow up more tolerant and caring and gain social responsibility by joining the various charitable groups where they can share their knowledge and help to improve the living situation of the less privileged. While we hope our reasons why living in Cape Town with Kids is very attractive, will help you in your decision-making process, we always would recommend to come to the Mother City for a holiday or orientation visit to see for yourself before taking up a job offer in Cape Town. If you consider moving to Cape Town, make sure you get our unique expat guide book on Living in South Africa and be informed with the newest insights and get plenty of helpful tips, addresses and resources. Want more info on Living in Cape Town with Kids? Subscribe to our free newsletter and enjoy the latest ExpatCapeTown news!